While most sax players have followed in the footsteps of jazz legends like Charlie Parker and John Coltrane, Maceo Parker has consistently marched to a different tune. Since his earliest days, he has gravitated to the more rhythmic and soulful end of the spectrum, following figures like Louis Jordan, Ray Charles and James Brown – all of whom were innovators, each pushing their respective sound and style to the point of becoming something entirely new. It was Parker’s recurring stints in Brown’s band, in fact, that not only produced some of the most enduring entries in the vast canon of American soul music, but also sowed the seeds of the funk revolution of the 1970s. 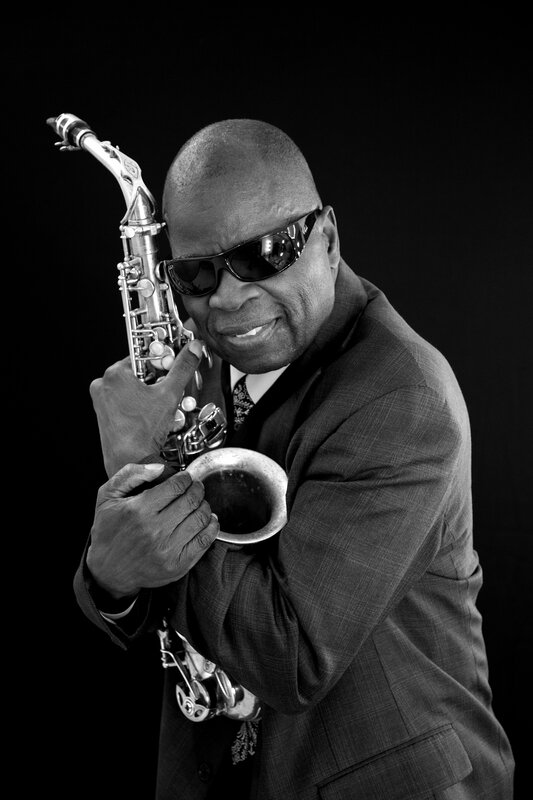 In hindsight, Maceo Parker has been as innovative as the people whom he cites as his own influences. Onstage, Parker served as the perfect foil to the Godfather of Soul – punctuating the frontman’s incendiary vocals and mesmerizing stage choreography with horn blasts that were equal parts melody and percussion. At the height of their collaborative powers, it was difficult to tell where the genius of one ended and the other began. He released his first solo record, Us People, in 1974, followed a year later by Funky Music Machine. Throughout the late ‘70s and early ‘80s, he was a featured player with George Clinton’s Parliament-Funkadelic and Bootsy Collins’ Rubber Band. After a brief hiatus, he returned to James Brown until the latter’s incarceration at the end of the 1980s. Some of Parker’s more recent solo projects include Funk Overload, 1998, Made By Maceo (2003) and School’s In (2005). He joined the Heads Up International label with the 2008 release of Roots & Grooves, a two-disc set that positions him front and center with Germany’s WDR Big Band, arguably the hottest jazz orchestra on the European continent. Roots & Grooves is equal parts Ray Charles tribute and a showcase for some of Parker’s own classic material. His most recent album, It’s All About Love (2018), exemplifies this message. It features the WDR Big Band once more, with beautiful arrangements by Michael Abene – all of which feature love in the title. It is a fitting celebration of Maceo’s 75th birthday (on Valentine’s Day, no less) and of the longevity and importance of his role in musical history.